DUBAI, 29th October, 2017 (WAM) -- The 2nd edition of The Global Franchise Market, TGFM, being held under the patronage of Dubai Economy at the Dubai International Convention and Exhibition Centre, was inaugurated today by Ali Ibrahim, Deputy Director-General of Dubai Economy. 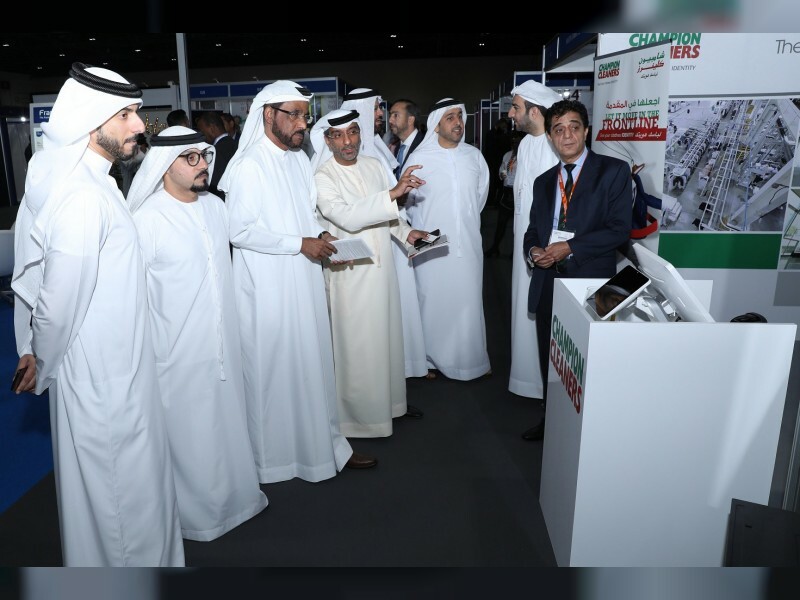 Following the opening ceremony, Ali Ibrahim accompanied by key officials, leading businessmen and entrepreneurs from the UAE and abroad toured the exhibition, where they explored the latest local and international brands, products, and services displayed by more than 60 brands from over 55 countries. "Franchising continues to evolve as a strong business model and valuable opportunity for business expansion. An entrepreneurial hub and gateway like Dubai by itself is an excellent platform for franchisee businesses and the emirate’s flagship retail sector holds vast potential for franchising to move to the next level," Ibrahim said. Anas Al Madani, Vice Chairman and Group CEO of INDEX Holding, said, "The Global Franchise Market in its 2nd edition is witnessing an exciting mix of franchise concepts present on the exhibition floor. F&B brands remain the leading sector participating at TGFM with 60 percent, followed by services 32 percent, and retail with 16 percent." "Around 1,500 investors are expected to attend the 2-day event proving that there is a great desire for investment in franchise concepts, with a prominent participation from the Kingdom of Saudi Arabia, UAE, and Kuwait. We are also witnessing this year a remarkable participation from India and the UK," Al Madani added. Imad Charaf Eddine, Chairman of Francorp Middle East, said,"Through this event, we seek to educate, inform and spread awareness of the franchising know-how throughout the GCC and the Middle East regions, and support businesses to franchise successfully on local and international level. Franchising is the future growth and expansion solution for many small and medium business owners. It is a way for individuals to benefit from the infrastructure and expertise of an existing business, but with the autonomy of running a business themselves. Simply, franchising can work wonders."